A new study, based on 27 years of data from Mana Pools National Park in Zimbabwe, suggests that temperature increases over the last three decades have already caused major declines in local populations of tsetse flies. This analysis, published in the journal PLOS Medicine this week, provides a first step in linking temperature to the risk of sleeping sickness in Africa. Tsetse are blood-feeding insects that transmit trypanosome pathogens which cause sleeping sickness in humans across sub-Saharan Africa. Without treatment, the disease is fatal. Parasites of this genus also cause nagana, animal African trypanosomiasis (AAT), in livestock. The most recent global estimates indicate that AAT kills approximately one million cattle per year. The study is based on prolonged laboratory and field measures of fly densities from the 1990s, and nearly continuous records of climatic data since 1975, recorded by researchers based at the Rekomitjie Research Station in the park. Since the 1990s, catches of tsetse flies from cattle in the park declined from more than 50 flies per animal per catching session in 1990, to less than 1 fly per 10 catching sessions in 2017. Since 1975, mean daily temperatures have risen by nearly 1° C and by around 2° C in the hottest month of November. Researchers from the Liverpool School of Tropical Medicine (LSTM), the South African Centre of Excellence for Epidemiological Modelling and Analysis (SACEMA) at Stellenbosch University, and the Natural Resources Institute at the University of Greenwich, developed a mathematical model, which showed that recent increases in temperature could account for the simultaneous decline of tsetse. The results provided evidence that locations such as the Zambezi Valley in Zimbabwe may soon be too hot to support tsetse populations. "If the effect at Mana Pools extends across the whole of the Zambezi Valley, then transmission of trypanosomes is likely to have been greatly reduced in this warm low-lying region", says Dr Jennifer Lord, lead author and postdoctoral fellow at LSTM. While this would be good news for the disease situation in Zambezi Valley, rising temperatures may have made some higher, cooler parts of Zimbabwe, more suitable for the flies. Professor John Hargrove, Senior Research Fellow at SACEMA, says the effect of recent and future climate change on the distribution of tsetse flies and other vectors, particularly mosquitoes, is poorly understood: "We don't know, for example, whether the resurgence of malaria in the East African highlands in the 1990s was caused by rising temperatures or by increasing levels of drug resistance and decreasing control efforts. "In general, the ways in which climate change will affect the spread of infectious diseases in sub-Saharan Africa is poorly understood because of sparse empirical evidence," he adds. However, work on tsetse and trypanosomiasis carried out at Rekomitjie over the past 59 years has produced long-term datasets for both vector abundance and climate change. The research station is located inside a protected area and has been free of agricultural activities since 1958. In 1984, the area was designated a UNESCO World Heritage Site. As not much has changed other than climate, the data from the site provided the ideal opportunity to develop a temperature-driven model for tsetse population dynamics. 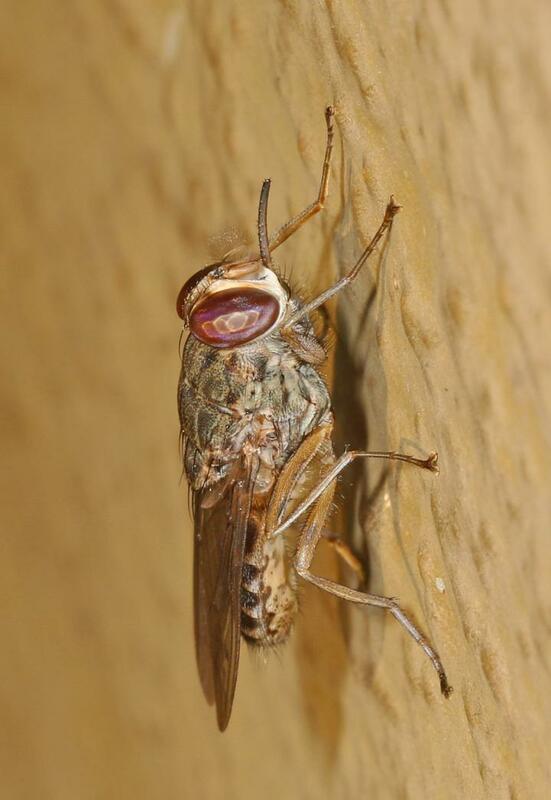 Unlike mammals and birds, insects such as tsetse flies cannot regulate their own body temperatures, and their development and mortality rates are therefore strongly influenced by environmental temperatures. Pupae cannot survive at sustained temperatures below 16 or above 32° C. In addition, tsetse populations can become established in an area only if there are sufficient numbers of host animals and suitable vegetation to support tsetse, Prof. Hargrove explains. He warns, however, that the Hwange National Park in Zimbabwe and Kruger National Park in South Africa are examples of areas where suitable hosts and habitat for tsetse are abundant. "Tsetse flies did occur in these areas in the 19th century, but they were always marginal because the winters there were rather too cold. With the massive rinderpest outbreak of the middle 1890s, when the vast majority of ungulates died, tsetse disappeared from these areas and have never established themselves again. But if temperatures continue to increase there is a danger that they may re-emerge." While tsetse-borne disease holds no danger for wildlife, as they have adapted to each other over millennia, control measures might have to be adopted in case tsetse re-occupy these parks and threaten cattle and humans nearby. According to Prof. Hargrove prophylactic drugs can protect livestock from the tsetse, but no such drugs are available for humans. The only sure way of protecting both livestock and humans is to attack the fly.